Attorney General and Minister for Justice, Gloria Akuffo say investigative journalist Anas Aremeyaw Anas en online petition say make dem move de Nyantakyi case forward be unfair. 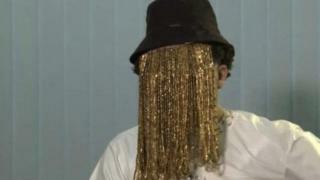 Anas dis week start online petition sake of he say check like de Attorney General office for Ghana dey make dull. Since dem put former GFA Boss, Kwesi Nyantakyi en matter before dem, dem no fit get any proper action on de case. Anas en online petition dey ask Ghanaians make dem sign den out pressure on Attorney General make dem move de case forward. For de campaign inside Anas talk say "make people help dem ASK de Attorney General make she move de case forward. Mr Nyantakyi for face criminal prosecution over aspects of en conduct which be criminal." But Attorney General, Gloria Akuffo talk BBC say dem dey deal plus Anas Aremeyaw Anas on dis matter, but de case delay small sake of de death of Ahmed Hussein-Suale who be key witness den also di unedited footage from de investigation which dem dey review. "We go prosecute am, we make that decision but we want get all de evidence wey go help de matter. A make surprised say he dey give impression say check like we no want deal plus de case shabo-shabo" Gloria Akuffo talk. Anas en online petition get over 1,800 signatures as at Tuesday morning, meanwhile dema target saf be 3,200 signatures.